It’s Rocket Ridley! 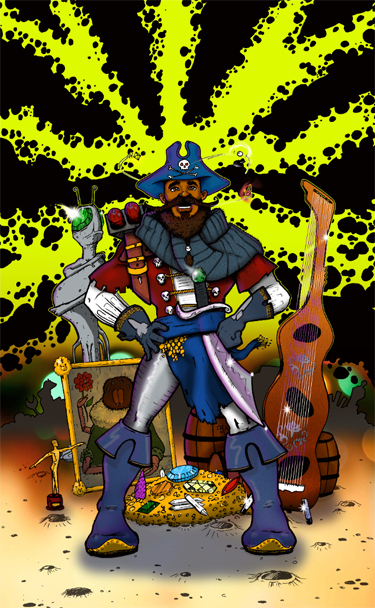 This notorious space pirate is here to steal your art, antiquities and your eldest son’s heart! He’s wanted across the 7 known galaxies for crimes to lengthy and sordid to mention here. Hide your sons and fathers! His bounty is set at 4 billion Space-Yen. The original is hanging in my studio space at is printed larger than normal as a wanted poster. You can get your very own here and signed by me or from my Society6 shop.